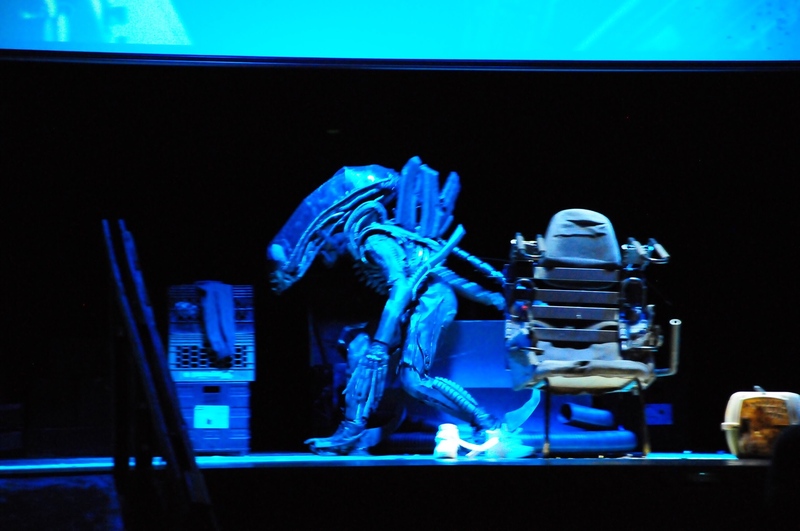 Updated: High School High Puts on Alien The Play! 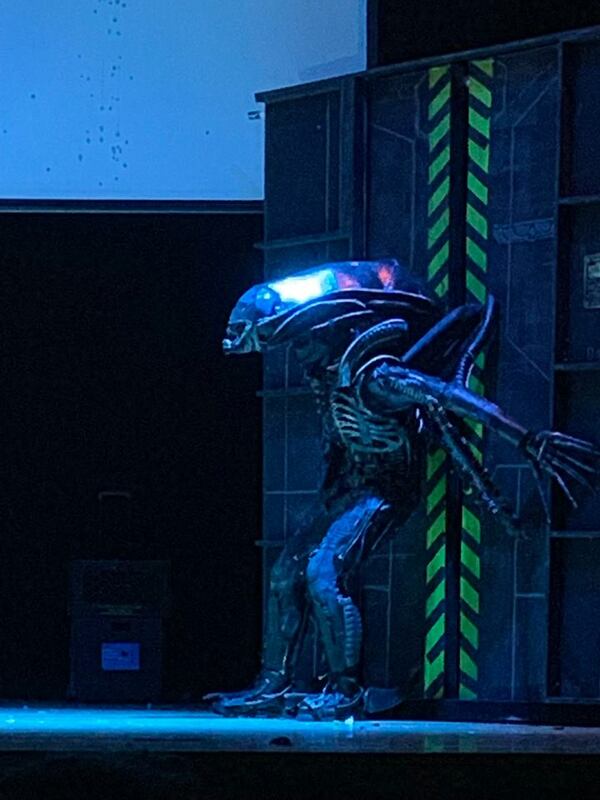 If you follow us on social media, last week you may have seen a picture from the opening night of a high school play based on Alien! Since u/Emo_Kid23 made Reddit aware of the production, Alien The Play has gone viral, garnering attention from the likes of Adam Savage and Emo_Kid (aka Justin Pierson) has even been interviewed for local news! 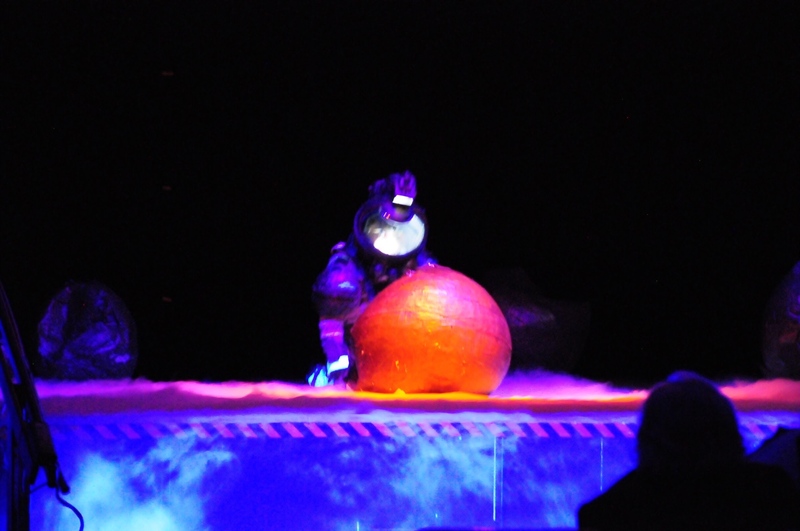 The play, which is based on the 1979 horror film “Alien,” debuted on March 19 at the high school and students performed a second show Friday night. According to senior Justin Pierson, who worked on the sound crew for the play, the set was made largely of recycled materials. Check out that Space Jockey! That is some seriously incredible stuff for a High School production! They even had a trailer courtesy of their drama teacher Perfecto Cuervo! You can head on over to /r/LV426 to check out more of what Emo_Kid23 had to say on the production! Update 28/03/2019: The official Alien social accounts have tweeted a lovely video message regarding the play from none other than Sigourney Weaver herself! Alien Wars To Open December! Alien Returns to Cinemas in Glorious 4K! Maybe they can offer apprenticeships to Fred and Shane. That is really classy of Scott too. I'm really loving the love being given to these guys and girls. Can they do the alternate alien 3's? Indeed, as it ought to! It's really awesome seeing them getting all this attention. Sometimes hard work and passion actually pays off. Now this is f**king awesome. These are both so incredibly heartwarming. Lovely letter from Scott. Plus, noice on them wanting to put some $$$ for encore presentations of the play. The High School's Space Jockey is magnificent. You can have new arcs with old characters. But we should take this discussion to a related thread. Because the arc's finished as far as I'm concerned. In the case of both Ellen Ripley and Ripley 8. There is plenty of time to do non-Ripley-related Alien stories. Why not do one more? Neill Blomkamp's film Ellen Ripley or no Ripley whatsoever. Personally? New stories post AR, no Ripley for my money. Sigourney Weaver is so awesome. This makes me want one final appearance from her as Ripley ever more than I already did. I don’t care if it’s Blomkamp’s Alien or a̶ ̶c̶o̶n̶t̶i̶n̶u̶a̶t̶i̶o̶n̶ ̶o̶f̶ ̶R̶e̶s̶u̶r̶r̶e̶c̶t̶i̶o̶n̶ ̶ something else. Walter Hill and David Giler don't get enough credit, glad to hear the mention. Sigourney Weaver and James Cameron? Hey, I'm impressed. I'm sure they really appreciate Siggy's affections. Sigourney Weaver is so awesome. This makes me want one final appearance from her as Ripley ever more than I already did. I don’t care if it’s Blomkamp’s Alien or a continuation of Resurrection. Those kids must be freaking out! The space suits in particular are incredible! Ah I remember in JUNIOR School us kids ages 7-11 so wanted to do an ALIEN themed Theatre play or at least prop show. Props to that High School for having a sense of humour, not crying "ah it's an 18/R rated movie, what are these kids doing?" and being a crowd pleaser for all generations. 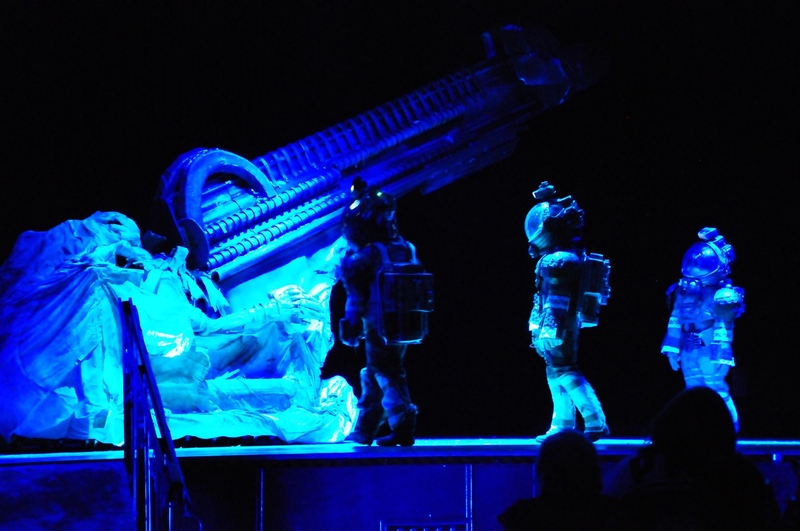 More live Theatrical ALIEN shows, whether Community or West End art centre please! Awesome. better than prometheus/covenant for sure! Amazing what you can do with ingenuity and passion. School was never this cool.